As a wholesale frozen chicken company, Kühne + Heitz is specialized in chicken trading. We take care of the import and export from Europe, such as the Netherlands and Ukraine, USA, Brazil and much more countries. 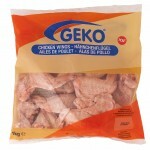 Chicken products can be delivered to Africa, Asia, Caribbean, Middle East, United Kingdom, Ireland and Europe. In short, worldwide shipping to any port.